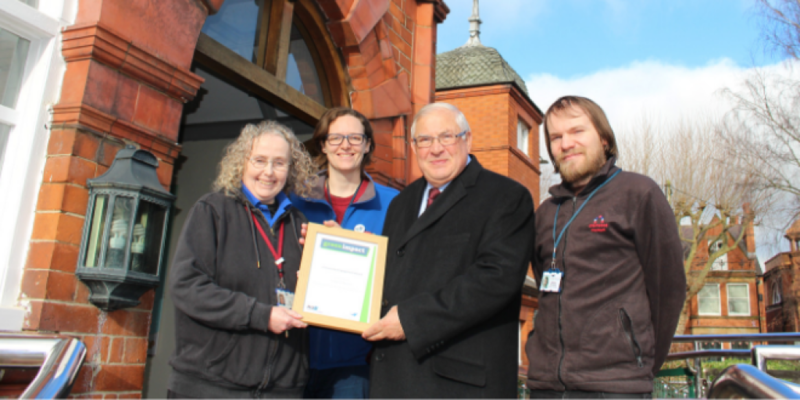 Charnwood Museum has been awarded for its activities around sustainability. The museum in Loughborough won the community engagement award at the 2018 NUS National Green Impact Awards. The award recognises teams who have engaged people in activities focussed around sustainability. Cllr Eric Vardy, the Council’s lead member for planning, inward investment and tourism strategy said: “I’d like to congratulate the Charnwood Museum team on the award and for putting on activities which encouraged visitors to think about sustainability. Charnwood Museum was recognised for its work with local school children who created jewellery out of locally-sourced elder branches. The award also celebrated the team’s effort of measuring how visitors travelled to the museum with a travel poll made from recycled plastic bottles. Green Impact is a sustainability change and engagement programme managed by the National Union for Students. The programme encourages organisations, staff members and students to make small changes which contribute towards a more sustainable future.